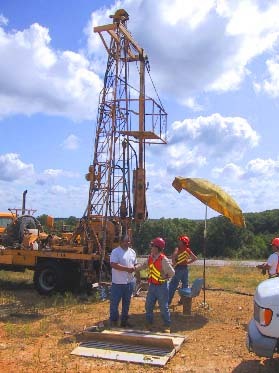 For nearly four years a team of scientists from Missouri State University and other institutions and State agencies have come together to form the Weaubleau Working Group to study the Weaubeau structure of southwestern Missouri. 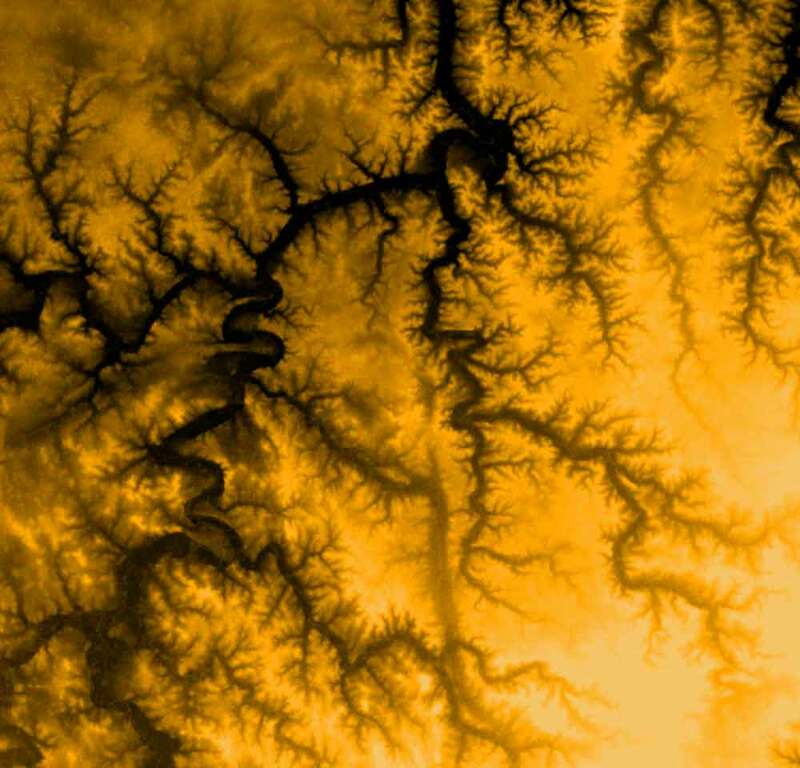 One of only 174± such places on Earth, this and two other accepted impact structures in Missouri (at Decaturville, on the border between Camden and LaClede counties, and Crooked Creek, south of Steelville in Crawford County) are very special places. Ideally, these structures will provide a basis for furthering science education in rural southern Missouri. The circular structure was first identified through computer mapping of a digital elevations model (DEM) in an area that was known to have a complex geologic structure (Beveridge, 1951). Although this feature has been interpreted as both an impact scar and a crypto-explosive structure, no work, other than reconnaissance-level geologic mapping had been done over the succeeding fifty years. 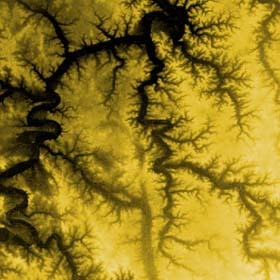 The Weaubleau structure spans 9 km (the small circular drainage outlines the area of most intense deformation (Click to view larger image). Field geology, stratigraphic and structural studies support the idea that it is a meteorite impact because shocked quartz grains, mostly planar fractures but also some fine lamellae, are found in breccias associated with the structure and much of the strain seems to have been directed downward or laterally rather than from below. 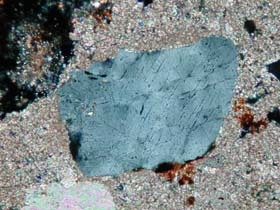 Photomicrograph of planar fractures in a quartz grain in comminuted carbonate matrix in the "Weaubleau Breccia". Large folds in the Ash Grove Aggregate quarry at Osceola indicate laterally directed strain away from the transient crater, which is located about 4 km southwest. 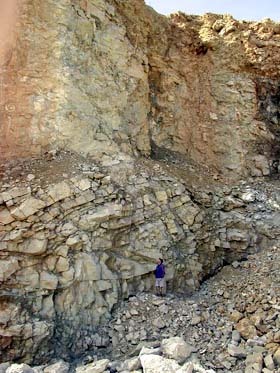 Recent expansion of the quarry has removed this fold, but other, previously unknown folds, are being exposed. To date, cooperative efforts with the Missouri Department of Transportation (MoDOT) has resulted in the recovery of eight core from various locations across the structure. Core is essential for understanding the three-dimensional nature of this structure. Provisional gravity and magnet anomaly maps have also contributed to our understanding of the three-dimensional structure. Much more research will be required to describe and confirmed the extent of deformation around the Weaubleau structure. For more information on our current understanding see a list of publications that are available online. BEVERIDGE, T.R., 1951, The geology of the Weaubleau Creek Area, Missouri: Missouri Geological Survey and Water Resources Report, Second Series, v. 32, 111 pp. A view from Highway WW, looking southwest, across the subdued topography in the main outcrop area of the "Weaubleau Breccia." This would have been ground-zero (in shallow tropical seas of the Burlington Shelf) of the impact some 340 million years ago.